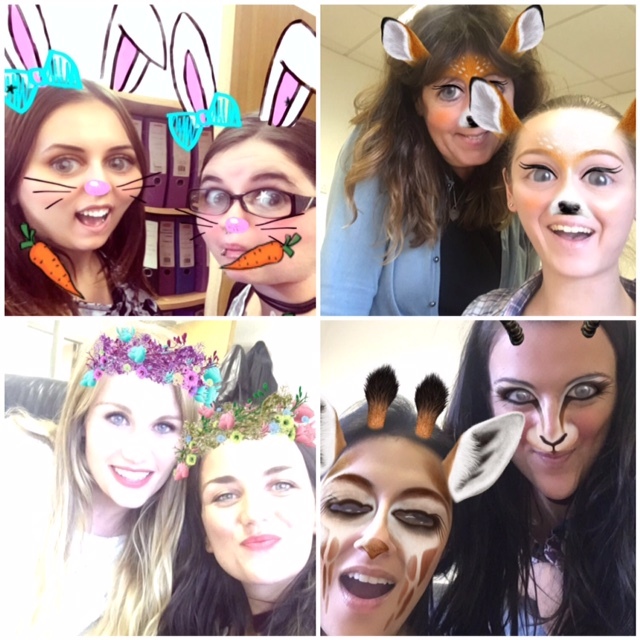 When Snapchat first launched in 2011, we must admit we found the concept rather strange. What was the point in sending a picture that would disappear forever after just 10 seconds? Surely it was a waste of time? Although sceptical at first, we stuck with it and tried to get our head around the app, mainly by sending our friends a lot of awkward selfies. The app has rapidly evolved in the last few years, introducing a variety of weird and amusing filters (which you can see we have far too much fun with), and more recently it has become a platform for brands to advertise and engage with consumers. But the world of Snapchat is about to change, starting off with its name. The company have removed ‘chat’ from its name, and is rebranding to Snap Inc. instead. Which doesn’t sound quite as catchy does it? The name change has come as a result of the company wanting to expand into other markets, starting off with ‘Snapchat Spectacles’. According to the BBC, the ‘Snap Spectacles’ will be launched later this year, costing £100 for a pair. Not too different from the ‘Google Glass’ concept, the sunglasses have a built in camera, and can record videos up to 30 seconds long. The development of the ‘Google Glass’ came to a halt which isn’t too surprising priced at $1,500 dollars a pair. Marketing Week has questioned whether the rebranding and expansion into other markets comes as a result of the recently launched ‘Instagram Stories’, which is virtually the same as Snapchats memories. It will be interesting to see how the brand continues to grow, and differentiate itself from other platforms. Maybe next summer we will all be sporting a pair of ‘Snap Spectacles’!